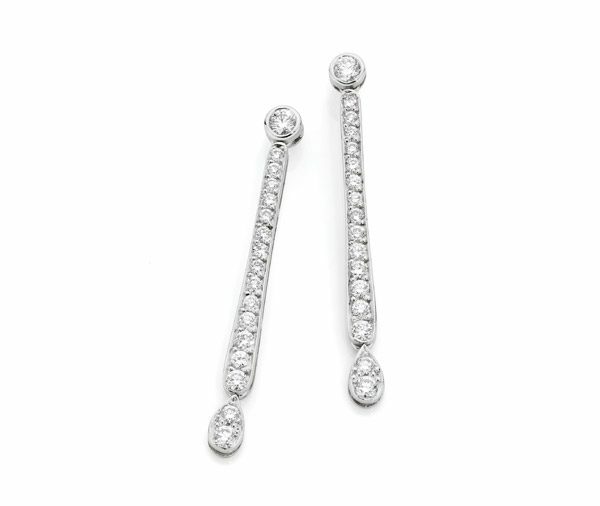 Articulated bezel and grain set bar drop of graduated round brilliant cut diamonds with post and butterfly fittings. Available in platinum, 18ct white, yellow or rose gold or any other precious metal combination. Trust Building, 155 King St.
© 2018 Bill Hicks Jewellery Design.